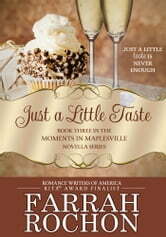 After a lifetime of depending on others, Kiera Coleman is ready to control her own fate. The small-town caterer has big plans for her new food truck venture, and this time she’ll be the one in the driver’s seat. There’s just one problem…the best food truck renovator in the business is the guy who years ago broke her young heart. Trey Watson has gone from being a hell-raising risk taker to a successful entrepreneur, so when Kiera hires him to renovate her food truck, he jumps at the chance to return to his small hometown and show people just what he’s made of himself. Nothing could have prepared him for the rekindled feelings that emerge when he comes face to face with the girl who once owned his heart. As familiar passion ignites between them, Trey is determined to show Kiera that the love they once shared deserves a second chance. But Kiera has no intention of losing her heart to Trey again. 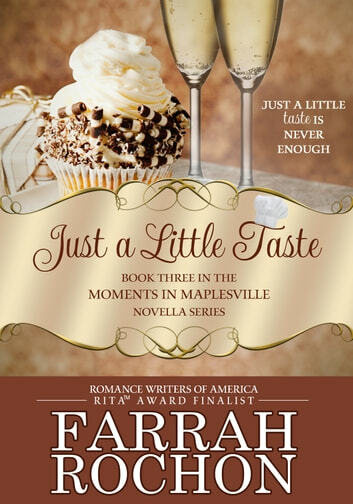 When passion flares in the sleepy town of Maplesville, Trey and Kiera both learn that just a little taste is never enough.